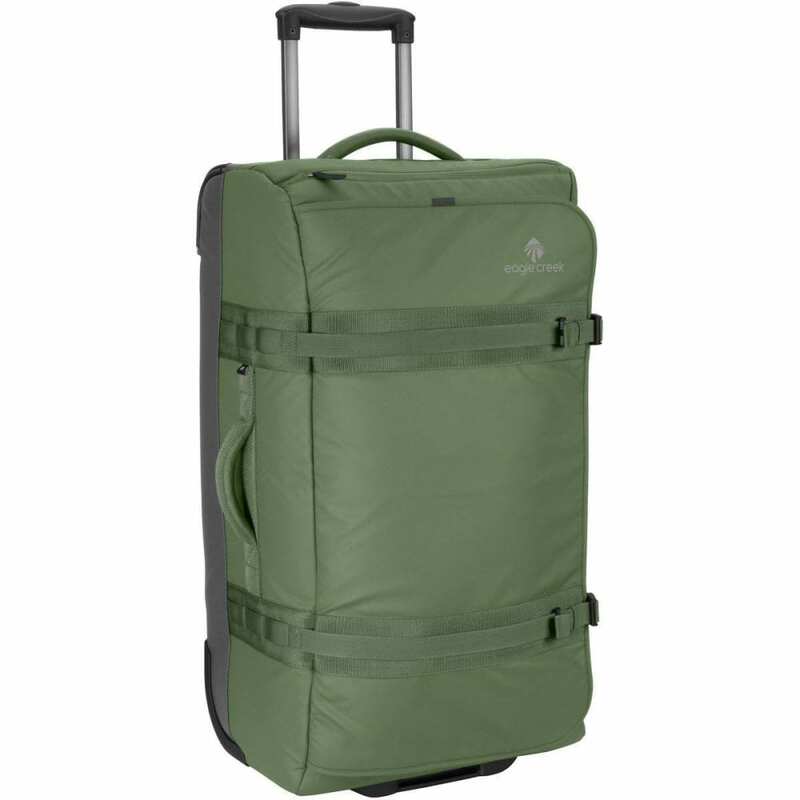 This rugged travel bag is constructed using an abrasion-resistant water-repellent Bi-Tech™ fabric and has an exceptional strength-to-weight ratio. Built big (77L) and to conquer the road ahead, it withstands all the rigors and abuses of travel, from large treaded wheels that conquer the uneven back roads, to boot-friendly kick plate and hefty wheel housing, to the security of #10 lockable zippers. Clearly the No Matter What™ Flatbed 28 was built for only the biggest adventures. Constructed with water-repellent, abrasion-resistant Bi-Tech™ with bartack reinforcement on all stress points. Sturdy handle system and heavy-duty oversized wheels with wheel housing bumper protection. #10 lockable, self-repairing zippers on main compartment with storm flap protection. Dimensions: 15 x 28 x 10 in.